Proactive, proformance-driven professional with 15 years of experience leading Market Development Initiative in Government and Corporate enviroment. Deep helathcare and life science expertise, Result oriented, decisive leader, with proven success record in establishing new business, identifying growth opportunities, and initiating strong business alliances. Thrive in dynamically changing environments requiring focused decision making. Skilled in optimizing teams dynamics, uniting diverse agenda to a common goal, and harnessing strategic and operational drivers to deliver results. Develop the Growth Strategy for DTS and Distributed gas solution market to generate double digit growth globally with specific focus on the MENAT. Build a strong pipeline of projects and initiatives to position GE as an industry and solution provider. Develop strategic initiative with customer to support the business growth and increase market share. Lead the commercial and operational strategy for GE by creating and executing on growth plans; identifying and developing new business opportunities; building capacity and capability; and building relationships with key customers and the government. Responsible for leading the company strategy in the region by aligning the company development with the region needs. Build GE’s relationship with governments across all business’s, advise GE across businesses on policy and regulatory issues and develop of new “white space” business opportunities for GE in the region. 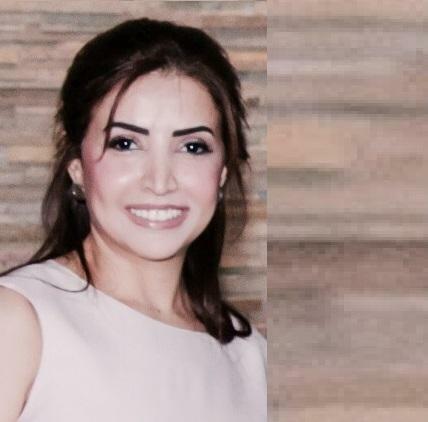 Responsible for leading the business development efforts for GE health care within the Middle East region, focusing on recognizing and building opportunities to drive organic growth for GE business in the region. Provide strategic and technical consulting for launching new applications and products in the emerging markets and taking them global. Integrated member of a large team at GE that is dedicated to solve tough global problems for customers and society. Imagination Breakthrough (IB) is a new business segment within GE that was created in May 2009 with a $3 billion budget to invest in emerging market and develop pioneering health care innovations and take them globally. GE is an innovative advanced technology, infrastructure and financial service company that operate in more than 100 countries and employee about 300,000 people worldwide. Progressed from Head of life sciences to an increasingly responsible position as the Director General of Health Care & Life Sciences, providing strategic and technical consulting in all health care and life science business development, lead all health care and life science strategic-driven revenue models. Develop business and functional requirements. Lead all health care and life Sciences investments which include (heath care strategies, health care investments, pharmaceutical, bio-pharmaceutical, medical devices, agrochemical, agriculture, aqua-agriculture, biomass and marina life science, fine chemical production, industrial enzymes production, biotech pollution and biotech application for water treatment, renewable and alternative energy and all environmental initiatives). Develop the first life science strategy in the Middle East; with the ultimate goal of creating an advanced society, proficient in science & technology. Develop next generation of life science and health care laws and regulation covering all segments of health care & life sciences. Develop the new health care and life science strategy for the economic cities which include developing new licensing regulation, developing an e-based monitoring and evaluation system, developing the strategies for creating a pharmaceutical cluster, agrochemical cluster, a fine chemical cluster and finally a solar cluster. Create supportive regulatory framework benchmarked to international best practice and the development of unique value propositions for each segment. Top level health care and life sciences strategic vision, planning and business development. Drafting and managing multi-million dollar budgets and business plans. In charge of all health care and life science investment promotion. Successfully delivered 2006-20010 business plans. Spearheaded and executed a number of key agreements with government and privet sectors which include an agreement with KACST to support 50% of all R&D activities within the economic cities. Successfully orchestrated the lunch of two strategies with the buy-inn from of the regulators. Championed & implemented a successful Business Conduct. Successfully trained, mentored and motivated health care and life science Employees. Developed & implemented many successful operational/ business strategies. Created numerous successful partnerships & strategies to ensure revenue goals. Counseled and motivated staff to achieve all targets. Consistently surpassed all personal targets within deadline & budget. Develop the plan for all molecular testing within the National Guard health affairs, in a systematic way to include, method development, evaluation, clinical trial, validation, implementation, monitoring, benchmarking and a through follow up to all patients. Developed the work plan for the section and led the collage of American pathologist (CAP) and Joint Commission International Accreditation (JCIA) inspection with a distinction for meeting all the required standards. Create the personal development plan for all the employees, setting out their target and how to achieve it. Created an annual data base to follow-up all patients’ viral load and complications due to treatment to be reported to the consultant in charge, led the development of nucleic acid testing for blood bank donors (NAT) which included more than 4000 donors that was tested for HCV, HIV and HBV. Developed an integrated plan for all interns, residents and fellows within the department to gain knowledge of all activities, procedures, information, methodology and techniques preformed, develop an assessment tool to objectively evaluate all the staff and inters for their performance. A contributing member to the chemistry and pathology department led the clinical chemistry, organic chemistry and biological chemistry classes within the university. Created a systematic way of linking all the chapters into one main project that will contribute significantly in the student’s progression plan and career path, this system resulted in a 100% success rate among all students. Developed the basis of a clinical trial to evaluate the chemo sensitivity and radio sensitivity of patients prior to treatment and follow up post treatment. Contributed as an active member of the team to the success of the clinical trial and publicising the results. Colquhoun, A., Jones, G.D.D., Al Moneef, M., Symonds, R.P., Steward, W.P., Mellon, J.K., 2003. Improving and predicting radiosensitivity in muscle invasive bladder cancer. Journal of Urology, 169, 1983-1992. Al Moneef, M., Sherwood, B.T., Bowman, K.J., Kockellbergh, R.C., Symonds, R.P., Stewart, W.P., Mellon, K.J., and Jones, G.D.D., 2003, Measures by the alkaline comet assay predict bladder cancer cell radiosensitivity. British Journal of Cancer, 89, 2271-2276. Sherwood, B.T., Jones, G.D.D., Al Moneef, M., Bowman, K.J., Kockellbergh, R.C., Symonds, R.P., Stewart, W.P., and Mellon, K.J., 2007, Mechanisms of radioresistance in bladder cancer. International Radiation Oncology..
AL Moneef, M., Sherwood, B.T., Bowman, K.J., Kockelbergh, R.C., Symonds, R.P., Steward, W.P., Mellon, J.K. and Jones, G.D.D., Comet assay analysis of DNA substrates of bladder cancer cells. in vitro, of the American Association for Cancer Research 45, 356 (abstract 1545). Al Moneef, M., Bowman, K.J., Kockellbergh, R.C., Symonds, R.P., Stewart, W.P., Mellon, K.J., and Jones, G.D.D., 2002, Evaluation of the alkaline comet assay as a predictive test of invasive bladder cancer treatment: prediction of bladder cancer cell radiosensitivity and chemosensitivity. Proceedings of the American Association for Cancer Research 43, 400 (Abstract 1991). Al Moneef, M., Bowman, K.J., Kockellbergh, R.C., Symonds, R.P., Stewart, W.P., Mellon, K.J., and Jones, G.D.D., 2002, Radiobiology studies in bladder cancer: Evaluation of the alkaline comet assay as a predictive test of bladder cell radiosensitivity (& chemosensitivity). 2nd Institute of Cancer Studies Study day, 20th June 2002, Beamanour Hall, Leicester. Al Moneef, M., Bowman, K.J., Kockellbergh, R.C., Symonds, R.P., Stewart, W.P., Mellon, K.J., and Jones, G.D.D., 2002, Evaluation of the alkaline comet assay as a predictive test of invasive bladder cancer treatment: prediction of bladder cancer cell radiosensitivity and chemosensitivity. Mutagenesis, 17, 559 (abstract 25). Sherwood, B.T., Al Moneef, M., Bowman, K.J., Kockellbergh, R.C., Symonds, R.P., Stewart, W.P., Mellon, K.J., and Jones, G.D.D., 2003, Evaluation of the alkaline comet assay as a predictive test bladder cancer cell radiosensitivity. Urological Research Society Mtg., 10th January 2003, the Riyal College of Surgeons of England, London. BJU International, 92, 826. Sherwood, B.T., Al Moneef, M., Bowman, K.J., Kockellbergh, R.C., Symonds, R.P., Stewart, W.P., Mellon, K.J., and Jones, G.D.D., 2003, Alkaline comet assay predicts bladder cancer cell radiosensitivity. Association for Radiation Research 2003 Scientific Meting., 27th March 2003, St. Catherines College, Oxford. Sherwood, B.T., Al Moneef, M., Bowman, K.J., Kockellbergh, R.C., Symonds, R.P., Stewart, W.P., Mellon, K.J., and Jones, G.D.D., 2003, Alkaline comet formation best predict bladder cancer cell radiosensitivity. Biological Basis of Sensitivity to Ionizing Radiation International Workshop, 9th – 10th May 2003, DKFZ, Heidelberg., (European Journal of Genetic Toxicology), In press. Sherwood, B.T., Al Moneef, M., Bowman, K.J., Kockellbergh, R.C., Symonds, R.P., Stewart, W.P., Mellon, K.J., and Jones, G.D.D., 2003, The alkaline comet assay and therapy in bladder cancer, 3ed Institute of Cancer Studies Study Day, 22nd May 2003, Highpoint, Glenfield, Leicester. Al Moneef, M., Sherwood, B.T., Bowman, K.J., Kockellbergh, R.C., Symonds, R.P., Stewart, W.P., Mellon, K.J., and Jones, G.D.D., 2003, Comet assay analysis of DNA cell substrates, International Comet Assay Workshop No. 5, August 29-31, University of Aberdeen Scotland. AL Moneef, M., Sherwood, B.T., Bowman, K.J., Symonds, R.P., Kockelbergh, R.C., Mellon, J.K., Steward, W.P. and Jones, G.D.D., 2004, Comet assay measures of cis-platin and mitomycin C-induced DNA crosslink formation predicts bladder cancer cell chemosensitivity in vitro. Proceedings of the American Association for Cancer Research 45, 356 (abstract 1545). Sherwood, B.T., AL Moneef. M., Bowman, K.J., Kockelbergh, R.C., Symonds, R.P., Steward, W.P., Mellon, J.K. and Jones, G.D.D., 2004, Alkaline comet assay analysis of bladder cancer cell radiosensitivity. Urological Research Society Mtg., 10th January 2004, the Royal College of Surgeons of England, London. Sherwood, B.T., AL Moneef, M., Kockelbergh, R.C., Symonds, R.P., Steward, W.P. Mellon, J.K., and Jones, G.D.D., 2004, Can the alkaline comet assay predict outcome of radiotherapy for muscle-invasive bladder vancer? BJU International 93, 85. Sherwood, B.T., Richardson, D., Colquhoun, A.J., Jones, G.D.D., O’Byrne K.J., Kockelbergh, R.C., Symonds, R.P., Steward, W.P. and Mellon, J.K., 2004, Hypoxia, Carbonic anhydrase IX and outcome after radiotherapy for muscle-invasive bladder cancer? Association of Radiation Research Annual Meeting, Great Missenden, UK, May 2004. AL Moneef, M., Sherwood, B.T., Bowman, K.J., Kockelbergh, R.C., Symonds, R.P., Steward, W.P., Mellon, J.K., McKelvey-Martin, V.J., McKeown, S.R. and Jones, G.D.D., 2004, Alkaline comet assay measurements of cancer cell radiosensitivity & chemosensitivity. ‘Prognostic Testing in Cancer’ a one day meeting of the BIR’s Radiation and Cancer Biology Committee, British Institute of Radiology, 3rd November 2004, London. AL-Moneef, M., Sherwood, B.T., Bowman, K.J., Kockelbergh, R.C., Symonds, R.P., Steward, W.P., Mellon, J.K. and Jones, G.D.D., 2004, Measures of cisplatin and mitomycin C-induced DNA crosslink formation, as determined by comet assay, predicts in vitro bladder cancer cell chemosensitivity. Mutagenesis, 19, 510. Colquhoun AJ, Jones GD, Moneef MA, Bowman KJ, Kockelbergh RC, Symonds RP, Steward WP, Mellon JK. 2003, Improving and predicting radiosensitivity in muscle invasive bladder cancer. Journal of Urology. 169(6), 1983-92.